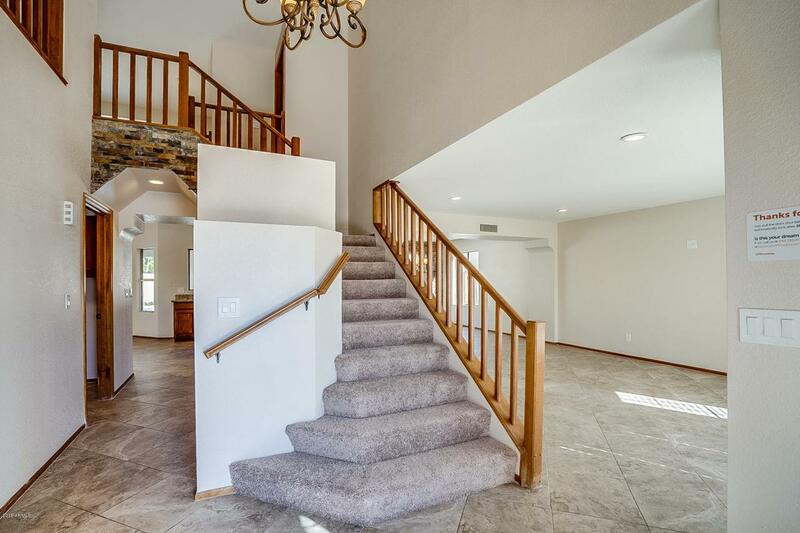 Beautiful 3 bedroom/2.5 bath two-story home with a den in Vistas at Arrowhead Golf Course community offers fresh paint and full carpet replacement. 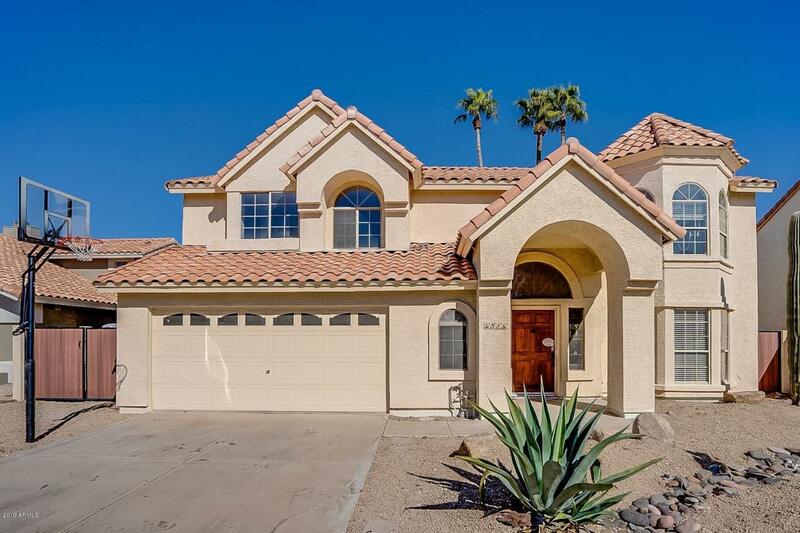 The kitchen has stainless steel appliances, granite counters with an island, and updated cabinetry. Upstairs, the master boasts a private fireplace in a stone wall, an attached ensuite with dual vanity and granite counters, and ample counter space. 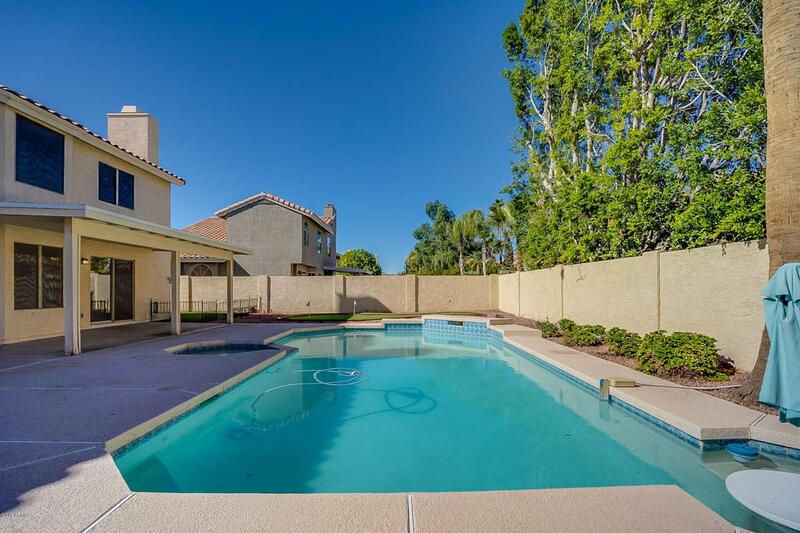 In the backyard, the covered patio opens to a private pool and personal putting green, perfect for hosting friends and family. 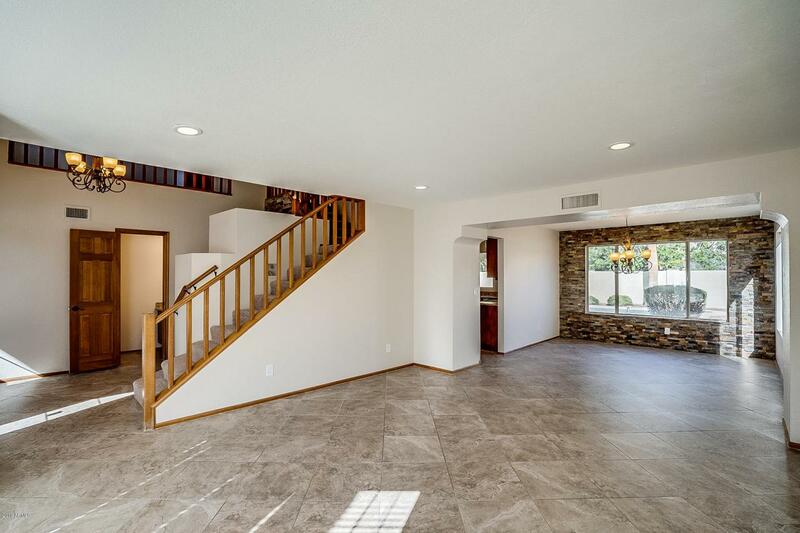 Close access to the 101 freeway, this home is right around the corner from shopping and dining. This home will not be on the market for long.